This has been really interesting , that is watching the spinal decompression market. I started doing Spinal decompression last year I guess before it was the hottest Non Surgical Disc treatment. The reason I got into this method is that I had several patients that had disc herniations that did not respond to my Chiropractic methods and I would refer them out to a neurosurgeon and usually they recommended surgery. I investigated diffrent Spinal decompression tables, I did not want to get my information from the vendor because they want to sell tables. I looked into the FDA website and I learned that all tables have the same exact FDA clearance and the FDA doesn't distinguish the difference between the tables. In fact the only table that can really claim that it is doing Spinal decompression is the Vax-D table it has a patent on the logirithmic curve and it is actively pursuing enforcing its patent. It is ammusing that man of my colleuges are buying tables and automatically are in the game, but there is more to Non Surgical Spinal Decompression then buying a table. If a doctor doesnt use a rehab program along with the treatment it is an expensive program that usually doesnt stick. Some times patients and doctors get so hung up on the table for instance ,the DRX 9000, they have done a great job in branding the table as a spinal decompression table but they bash any other table on the market and claim to be the best. Most of these claims are completely unproven and most table manufacutures steal other research studies. Is the DRx 900 a good tables? It sure is but it is not the only table and to say it is false. I think it is like a caluculator company saying their calculator adds better than its competetor! I use FDA approved tables along with Rehab program and I get excellent clincial results. If there is any Doctor that is interested in conducting a study that I hope to get published please contact me. If you are a patient in New York City and are seriously considering a visit to a doctor for Non Surgical Spinal decompression please fax me your MRI results at (603) 584 5825 I will give you an immediate second opinion. 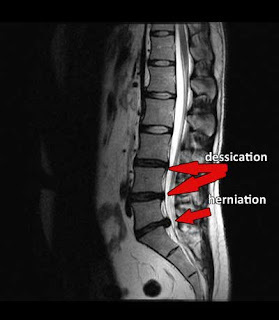 Disc herniations, Disc bulges, Spinal disc degenerations and Sciatica all respond to Spinal Decompression treatment if your suffering from back pain consider Spinal decompression with a Spinal Decompression specialist in New York City.